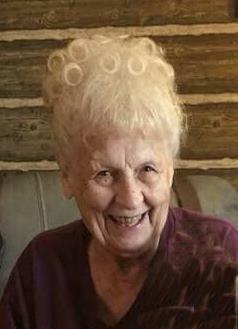 Mavis C. Moll, age 83 of Massillon, passed away Tuesday, November 27, 2018. Mavis retired from Jackson Township Highway Department. Mavis is survived by sons Scott and David Moll, daughters and sons-in-law Tami and Don Hendrix, Tina and Joe Stonebrook and daughter Traci Moll, brother Donald Leas Jr, sister Patricia (Jim) Wills, five grandchildren and six great-grandchildren. Memorial service will be held at Amherst Community Church, 8650 Beatty St. N.W., Massillon, Ohio 44646 on Saturday, December 8, 2018 at 1 P.M. with Rev. Aaron B. Winn and Rev. Calvin C. Hamblin officiating. The family will receive friends beginning at 12 noon prior to the service. In lieu of flowers donations may be made to St. Jude's Children's Hospital Foundation.501 St. Jude Place, Memphis, TN 38105-1942.